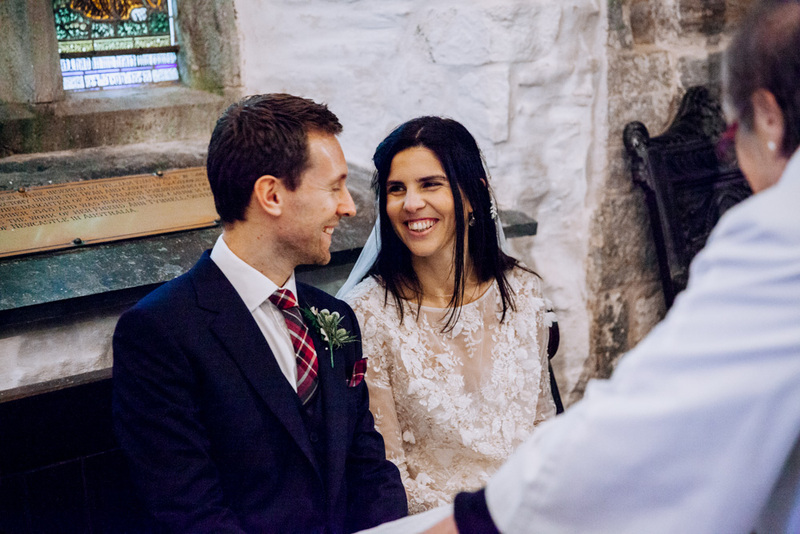 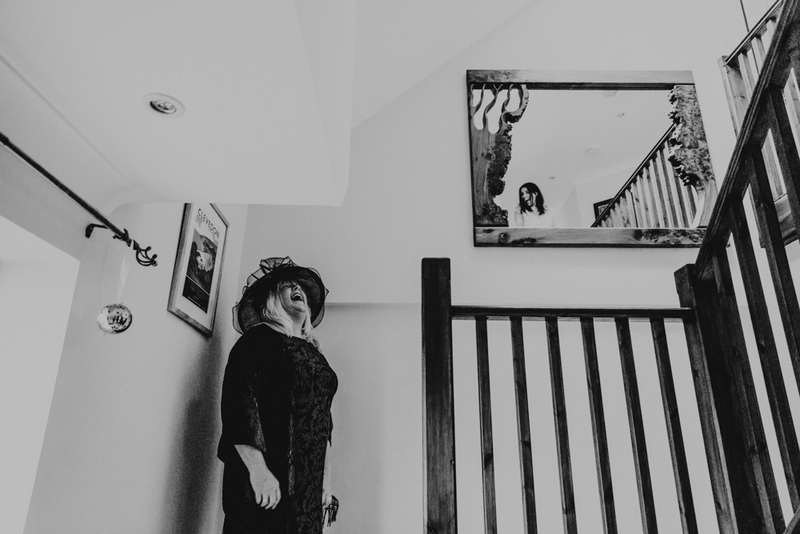 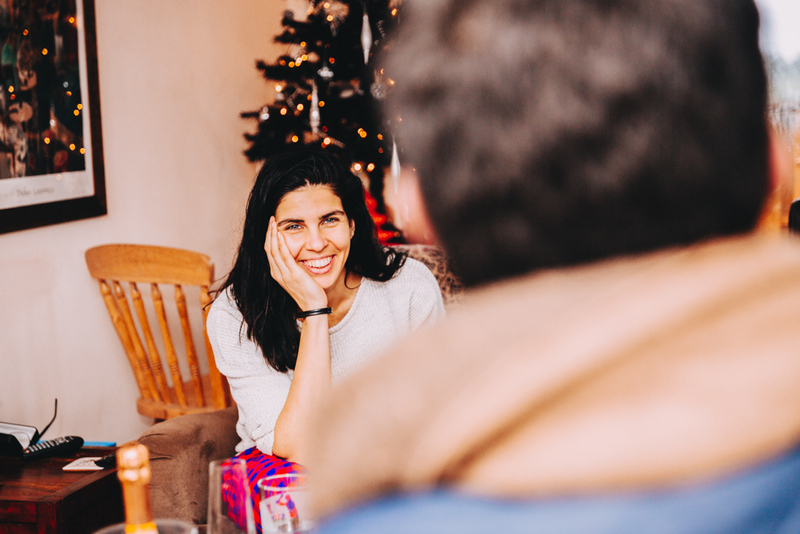 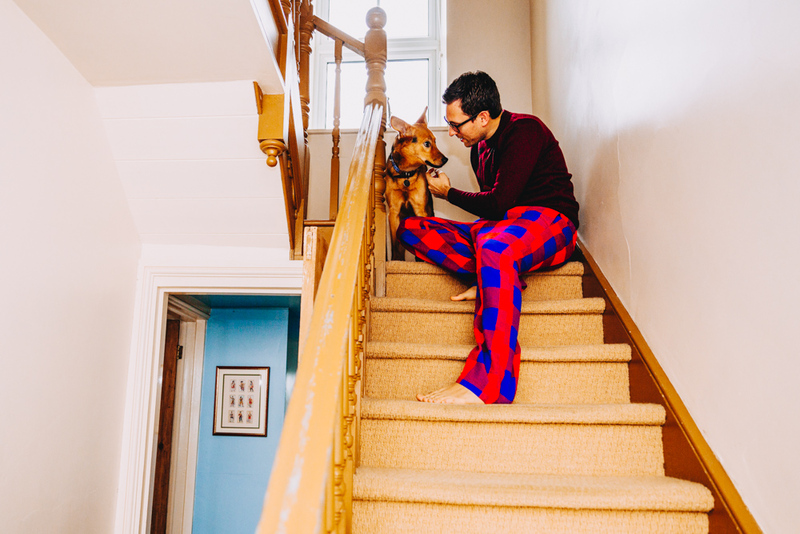 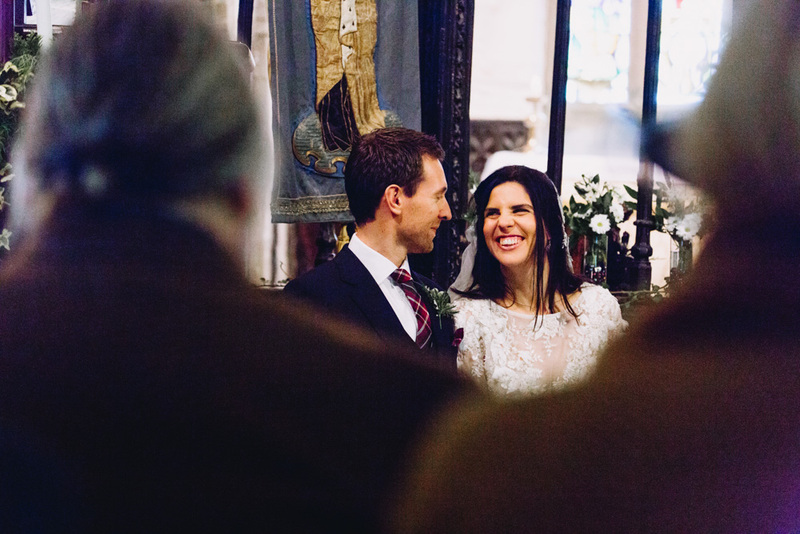 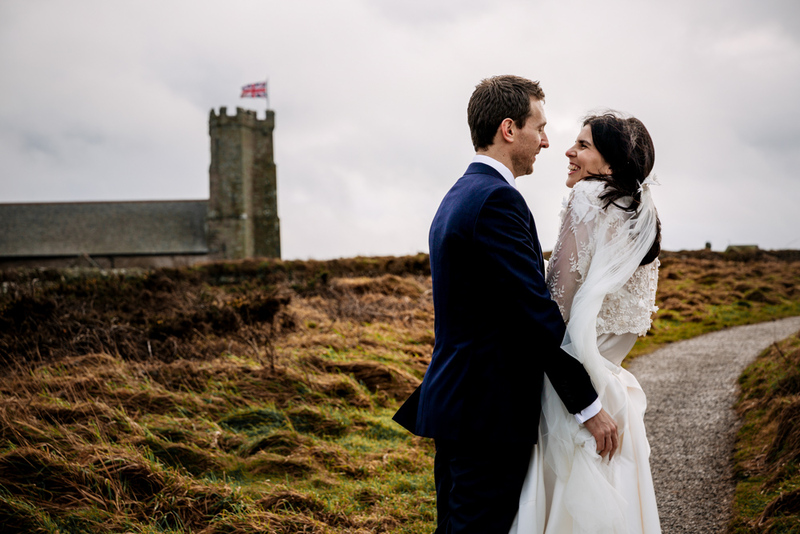 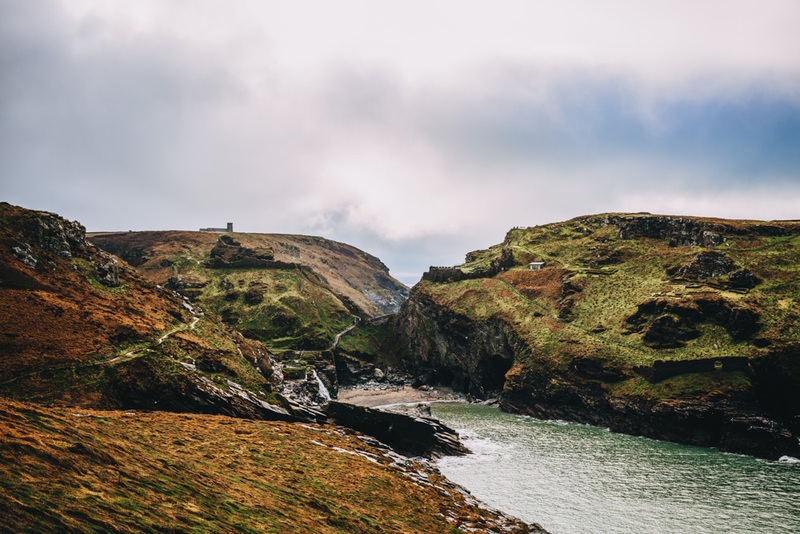 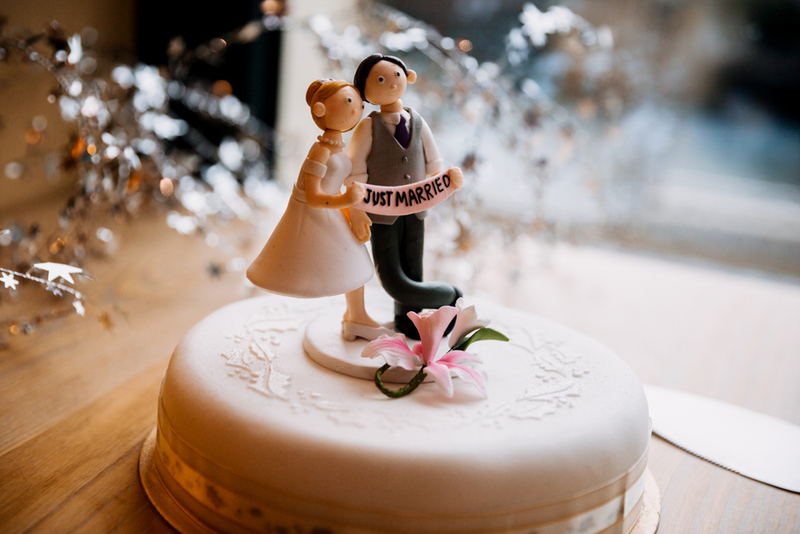 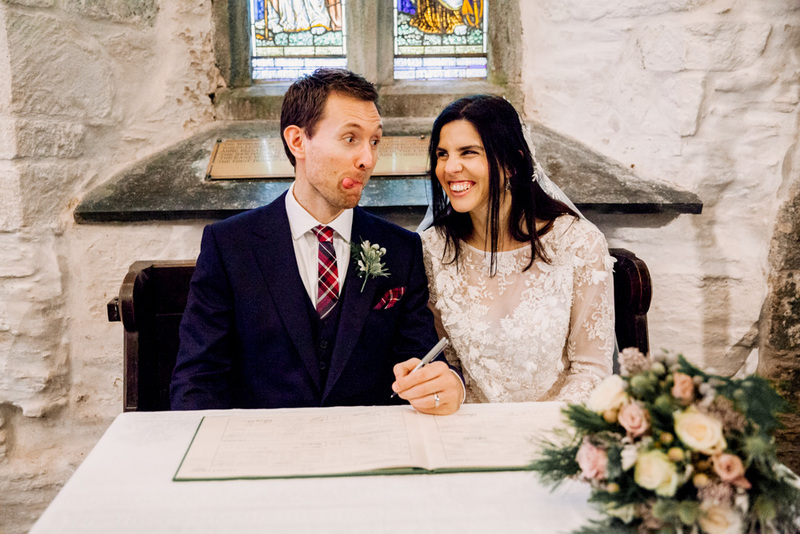 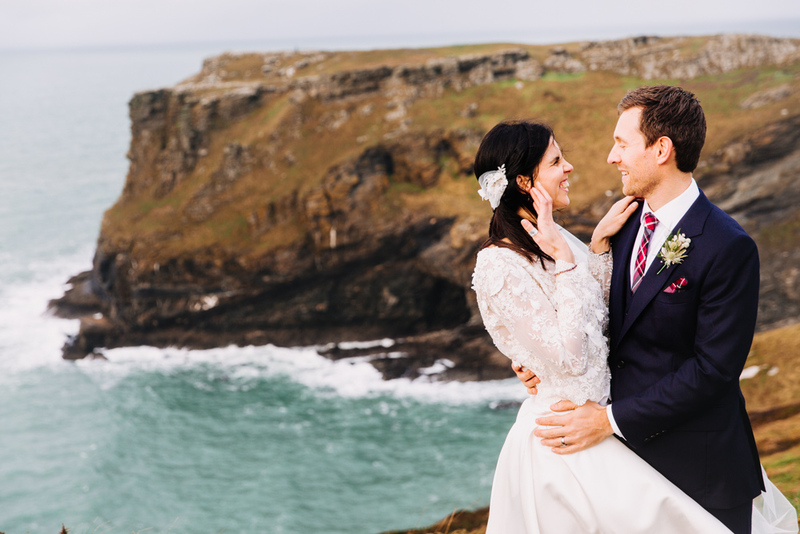 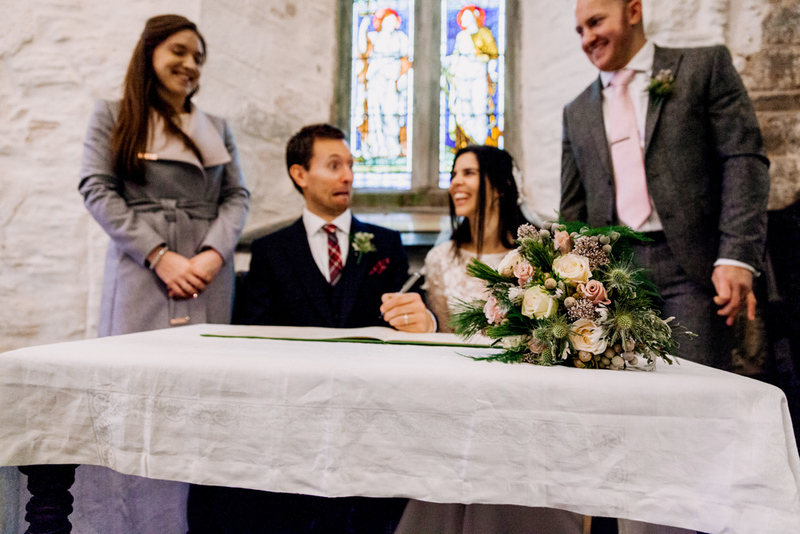 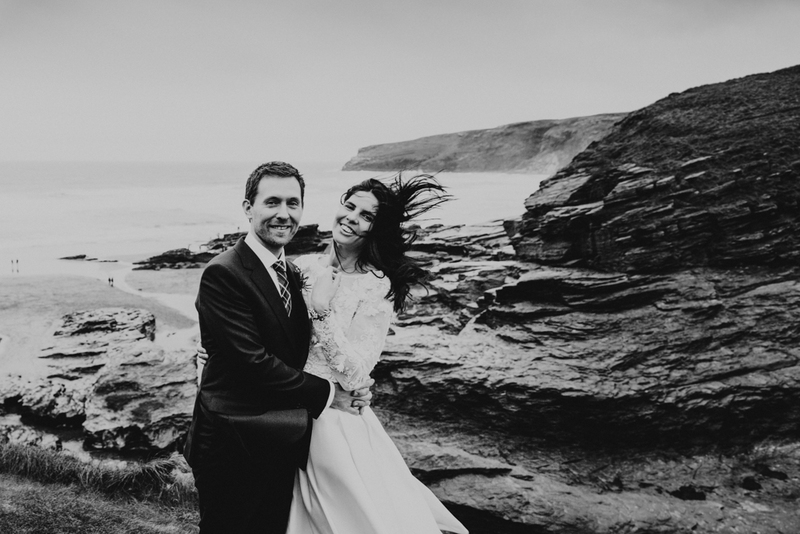 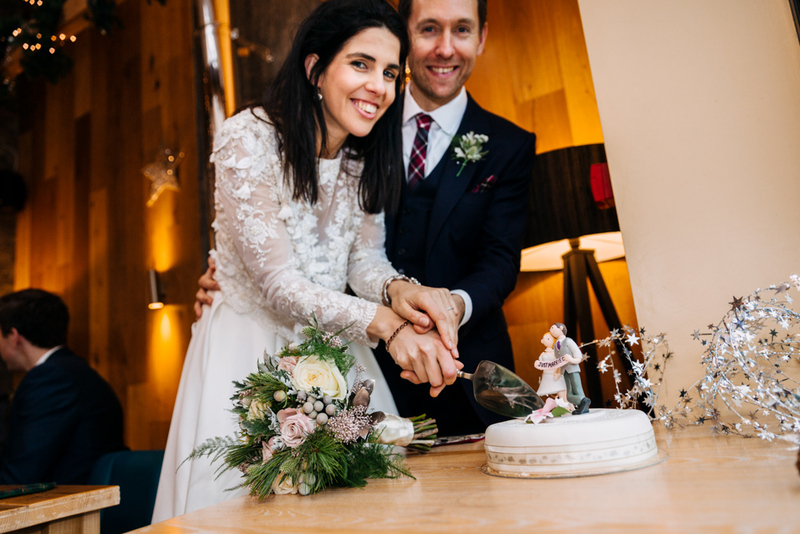 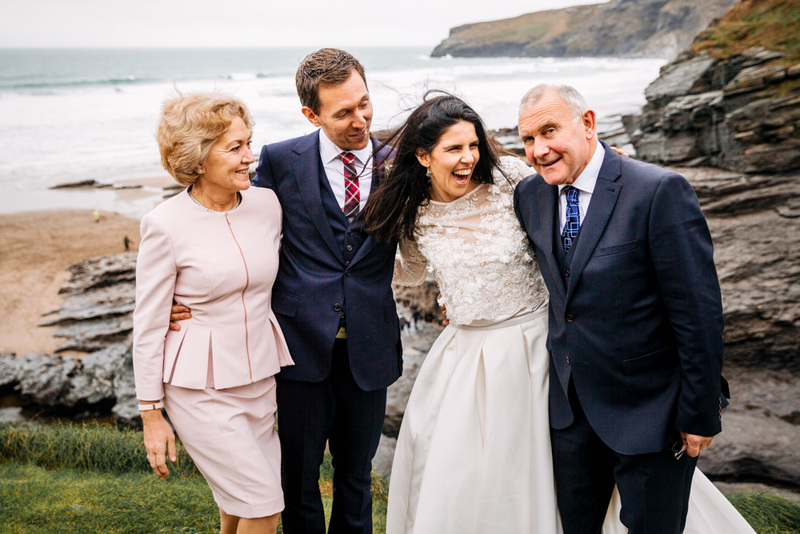 Mark and Kelly got married on Christmas eve in stunning Tintagel. 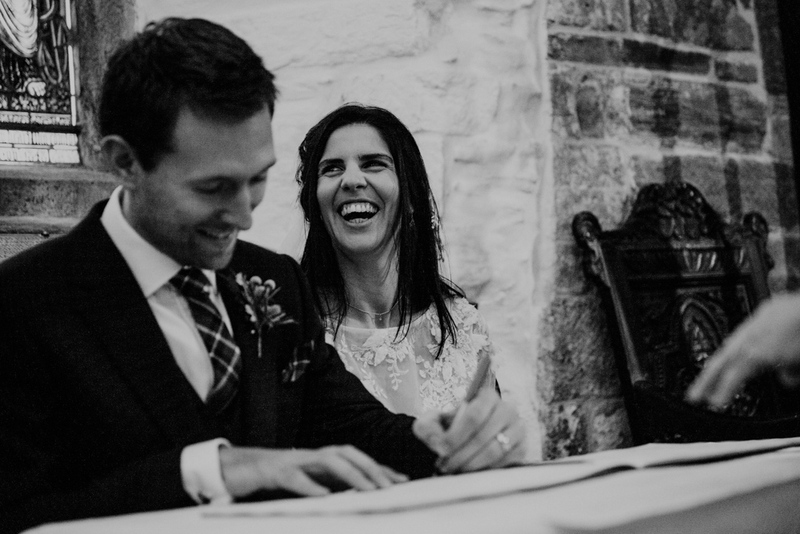 I googled ‘Tintagel wedding’ as soon as I got the e-mail and knew I wanted to capture their day for them. 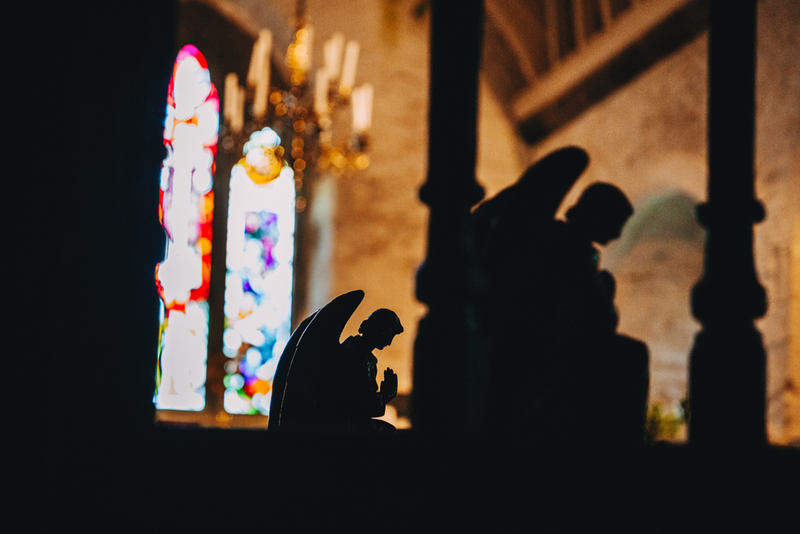 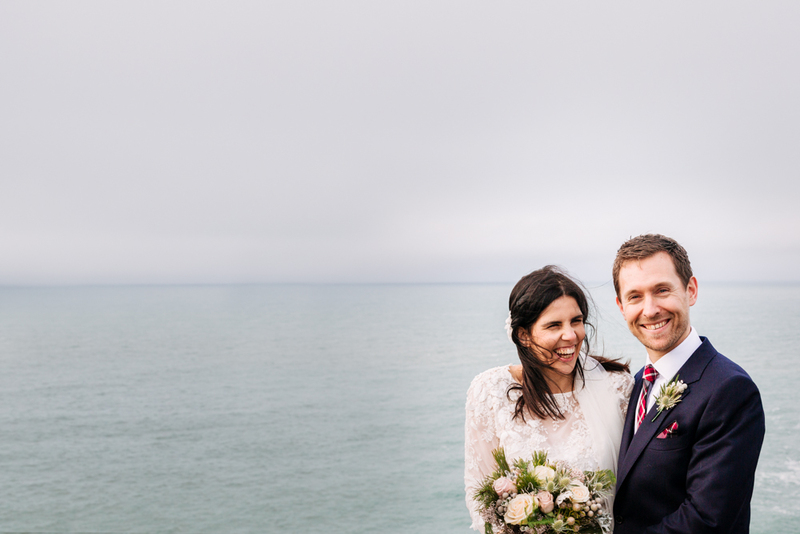 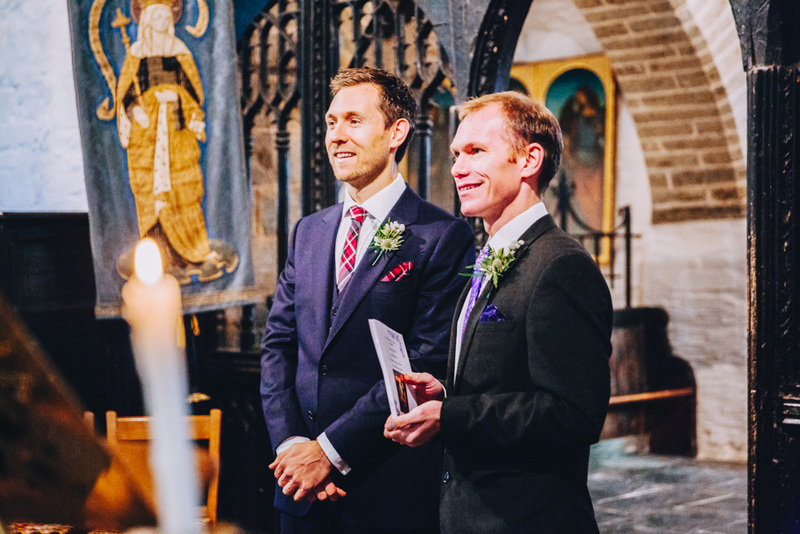 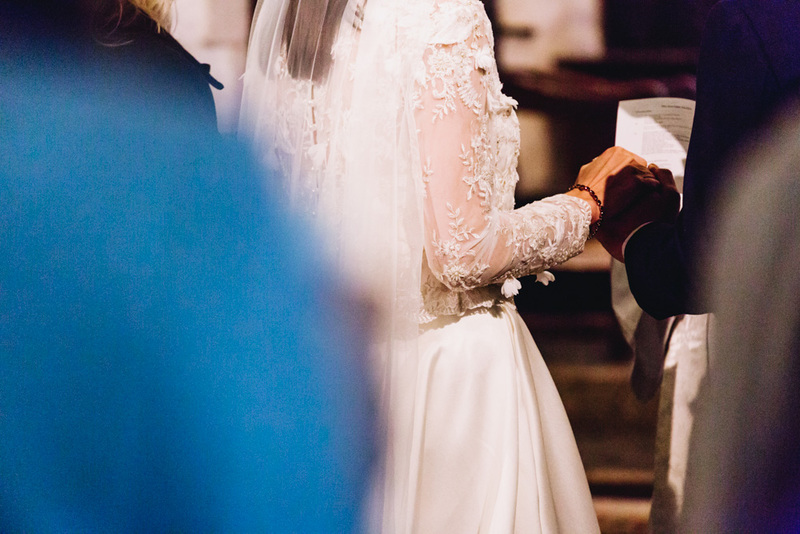 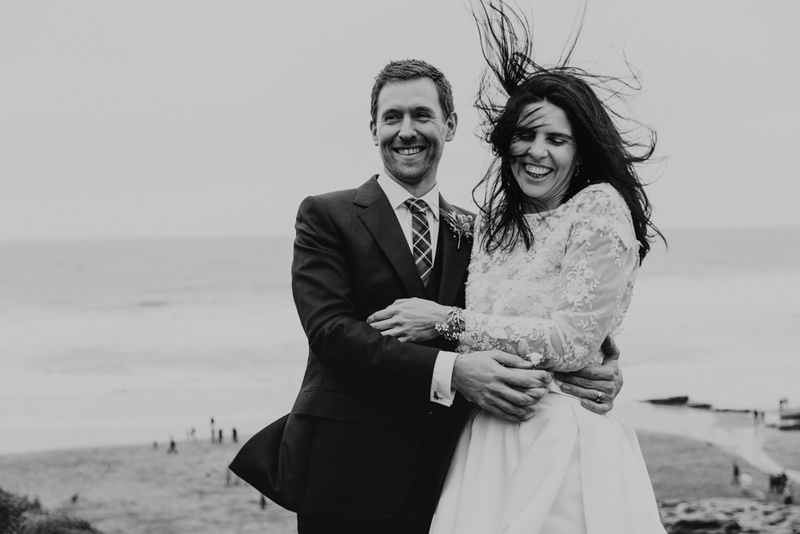 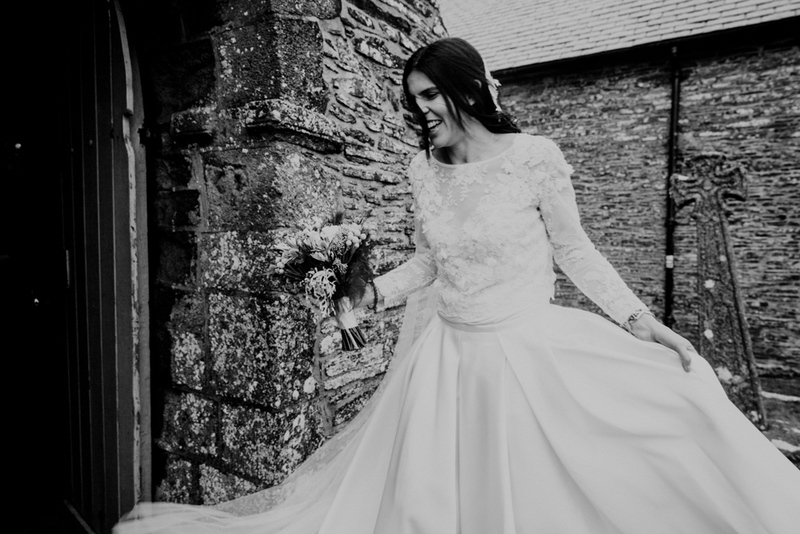 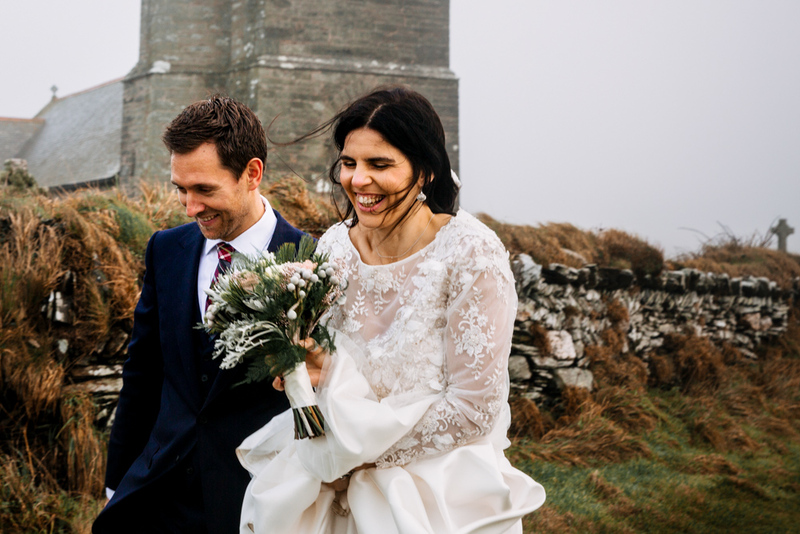 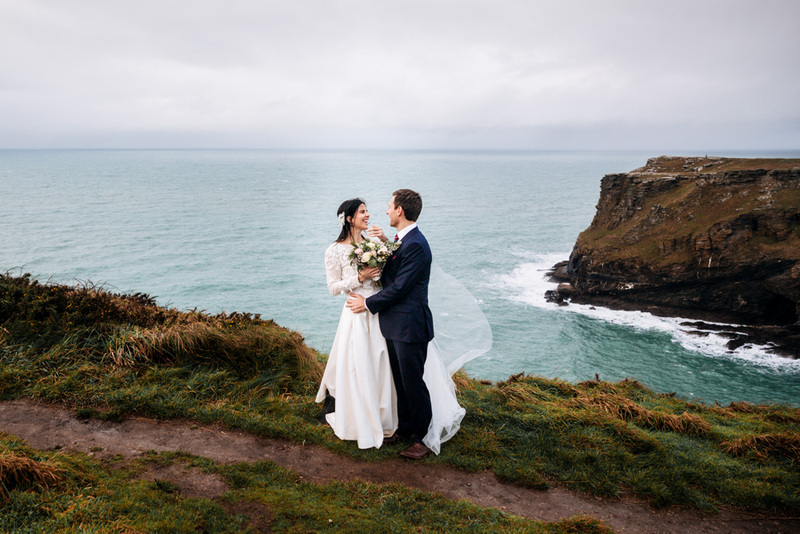 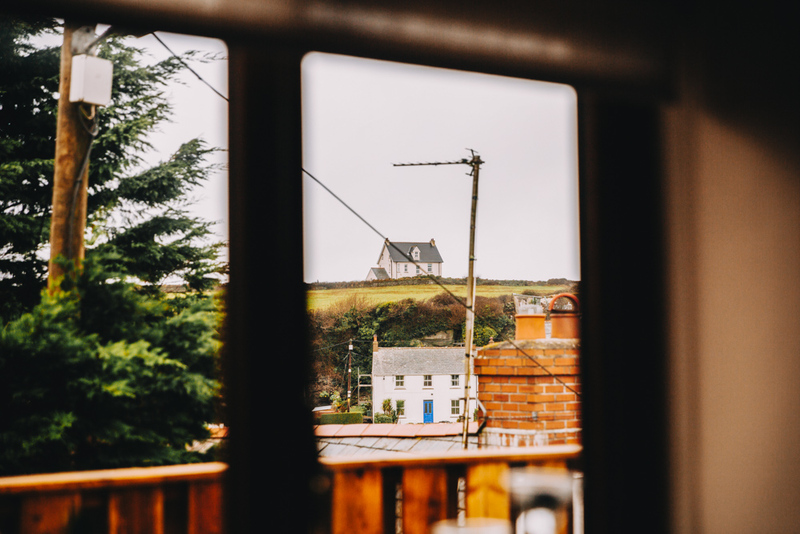 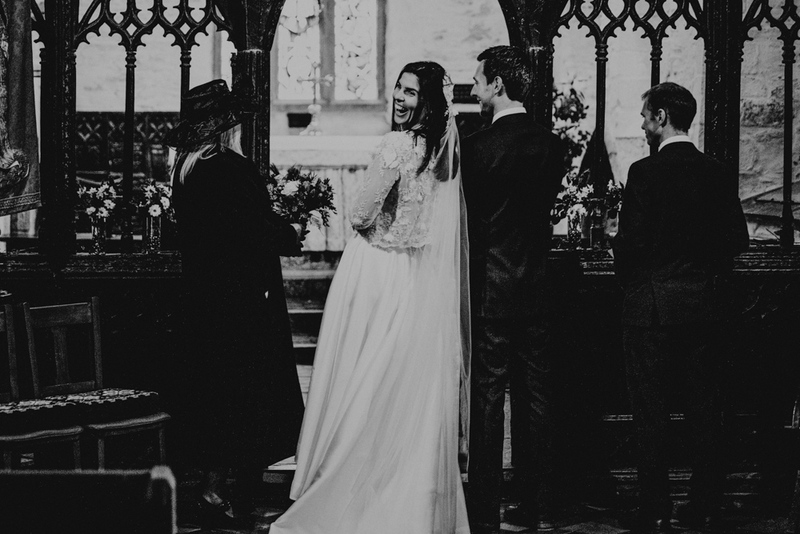 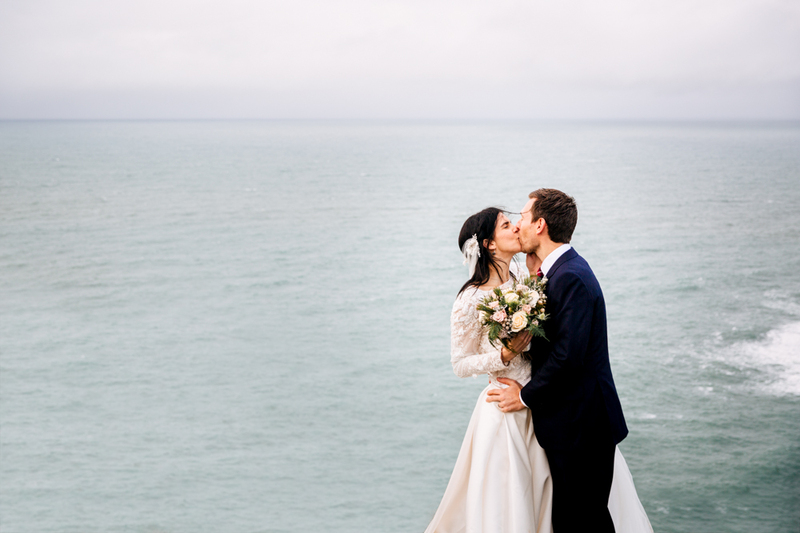 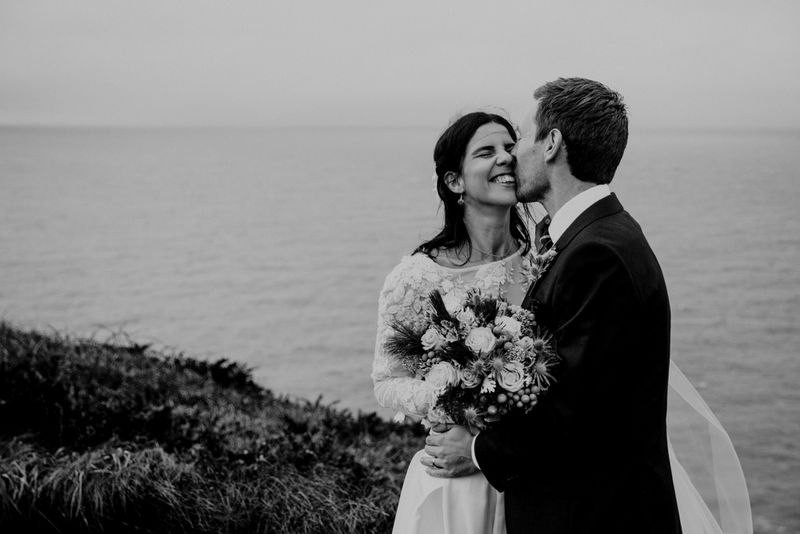 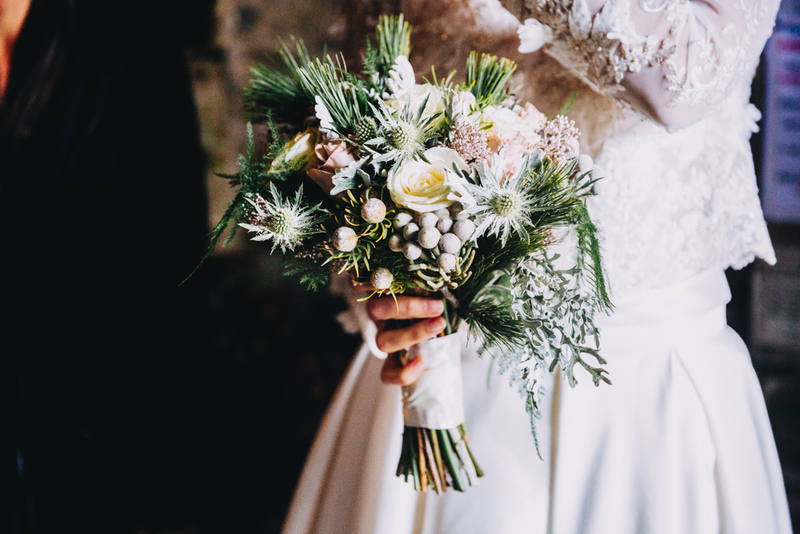 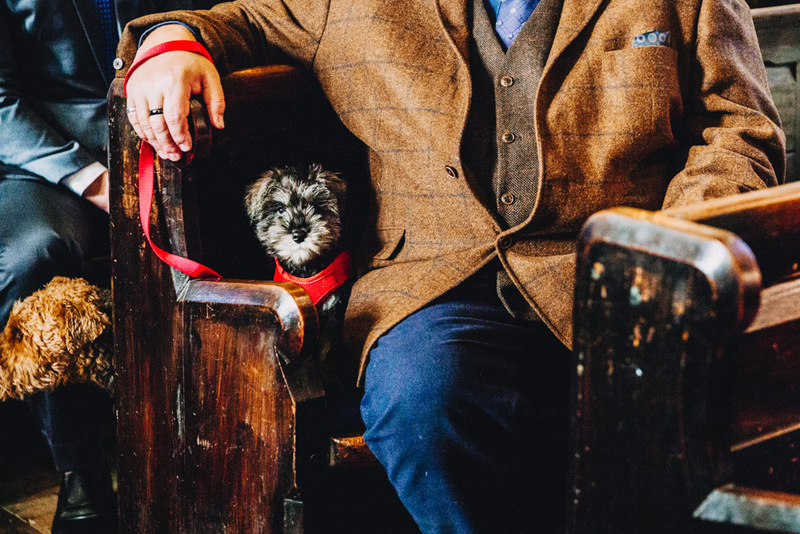 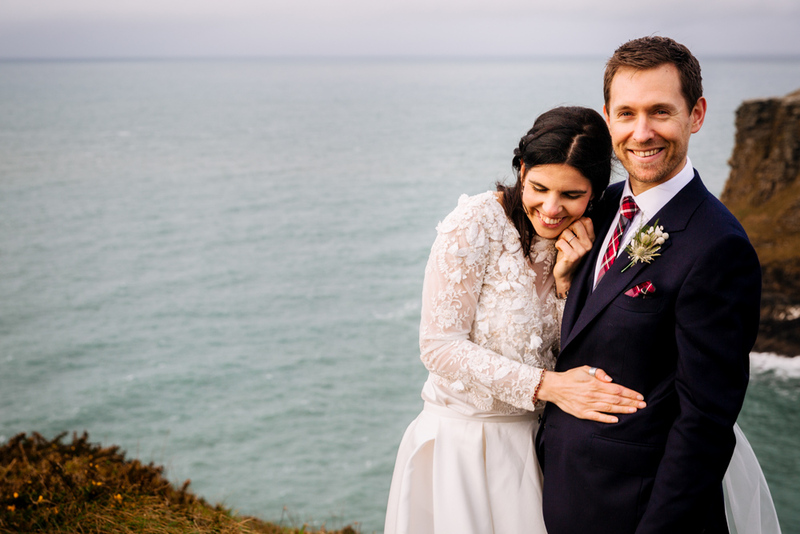 They got married in a beautiful little church on top of the rugged cliffs of north Cornwall. 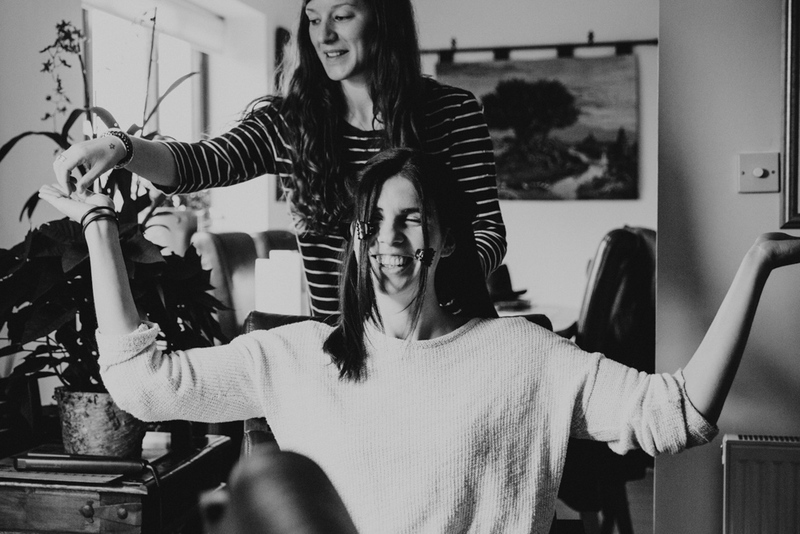 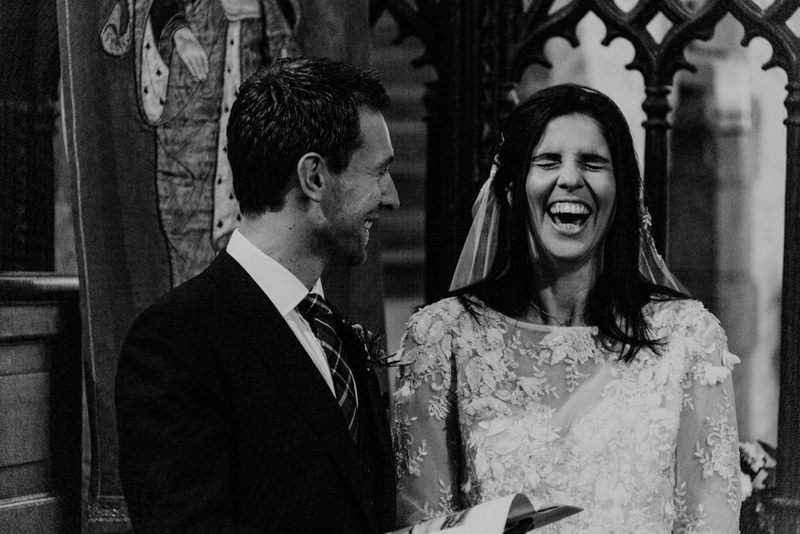 I’d photographed Marks’ sister Sinead getting married the year before and I’d had so much fun I knew it was going to be a blast. 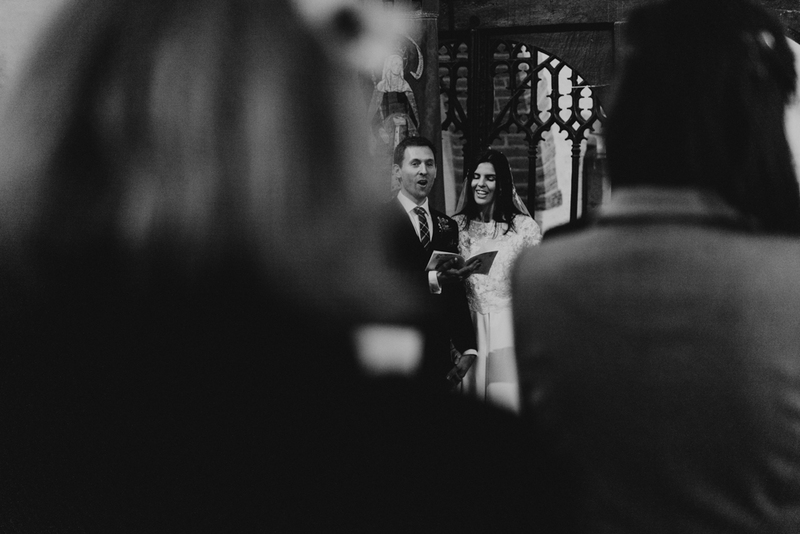 It was going to be tricky, timing wise, trying to get back for Christmas in London but it would be worth the effort. 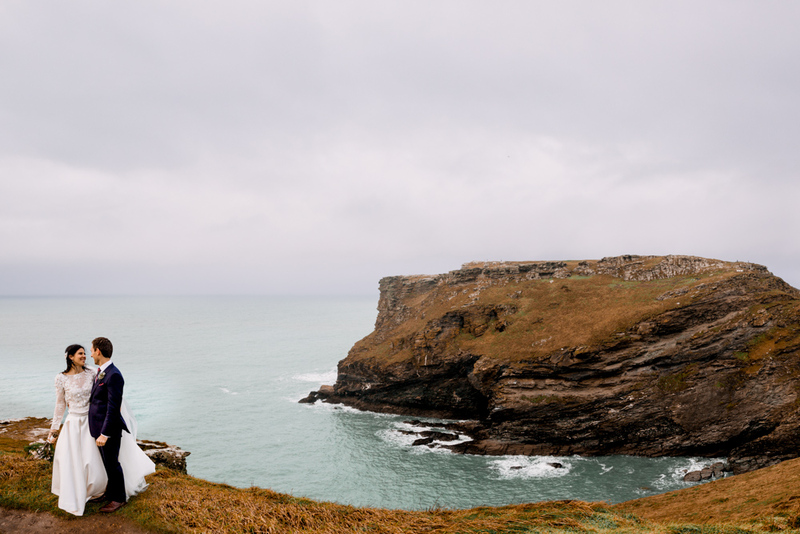 The next day we went for a longer wander in the other direction from Tintagel. 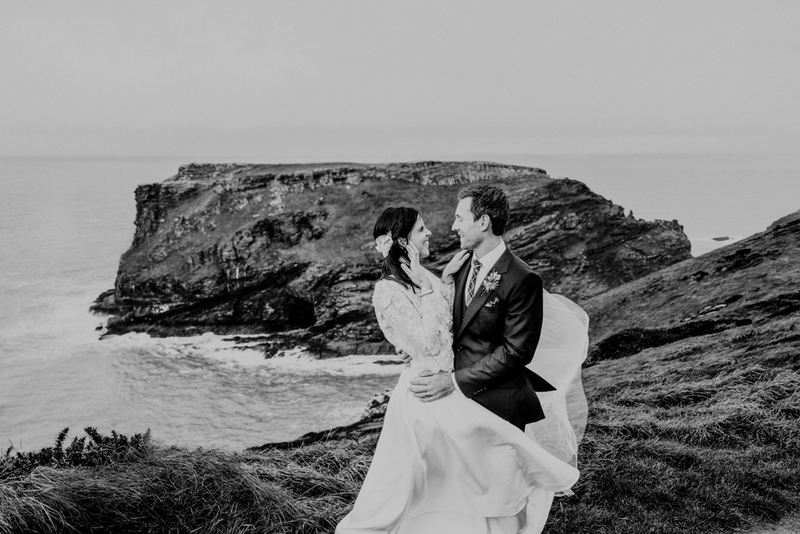 We found awesome caves and waterfalls and another bakery… And then stumbled into a pub where Mark and Kelly and their families were having a pre-wedding pint. 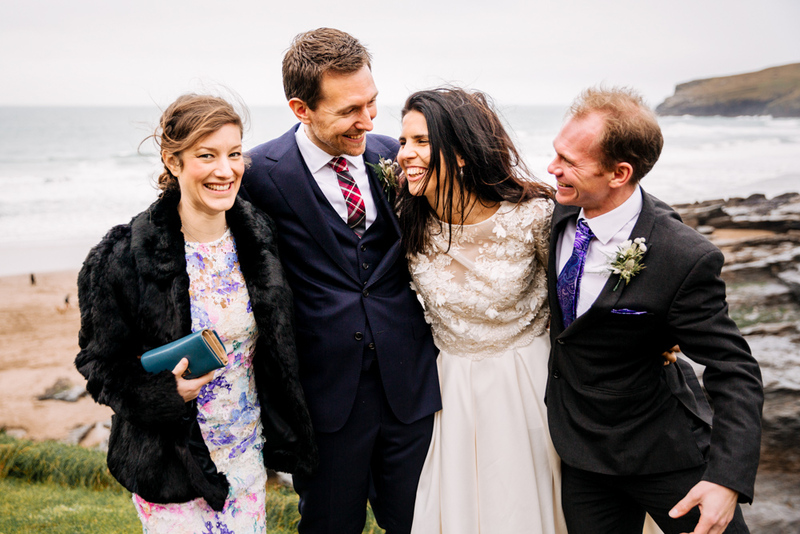 They’re such a lovely bunch! 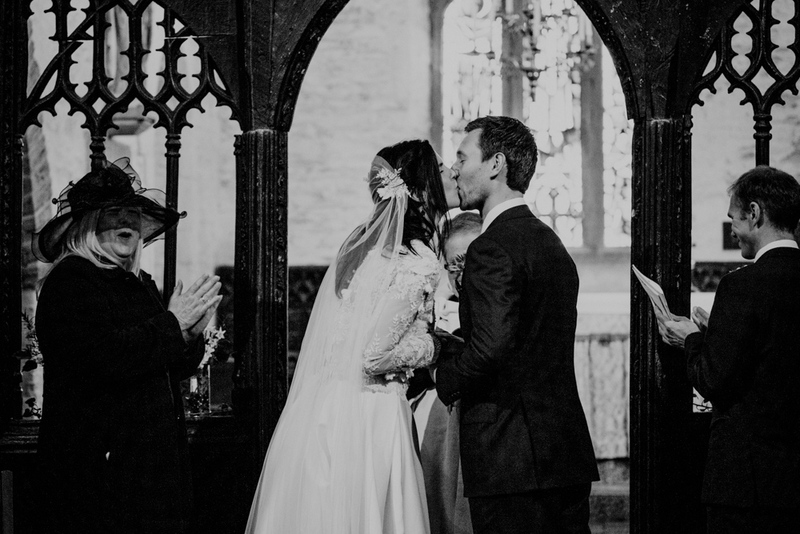 The wedding itself was brilliant! 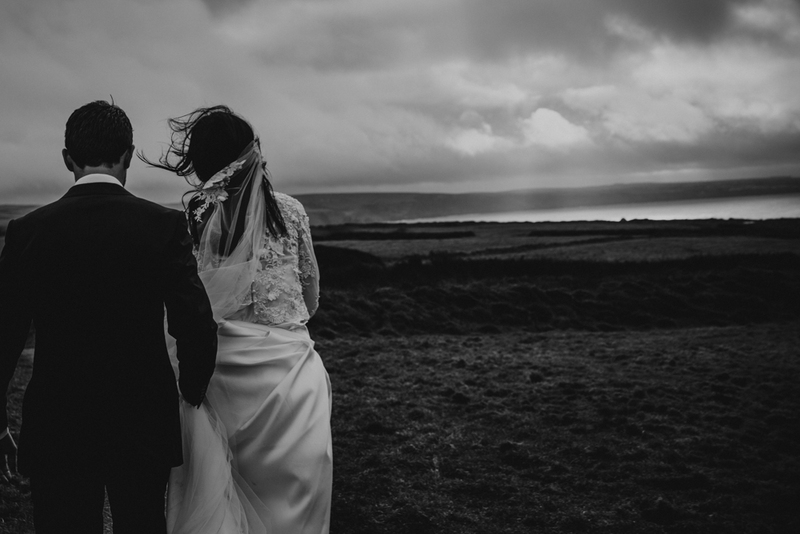 the weather did not behave, the sun shone as they said their vows inside and we exited into a howling gale! 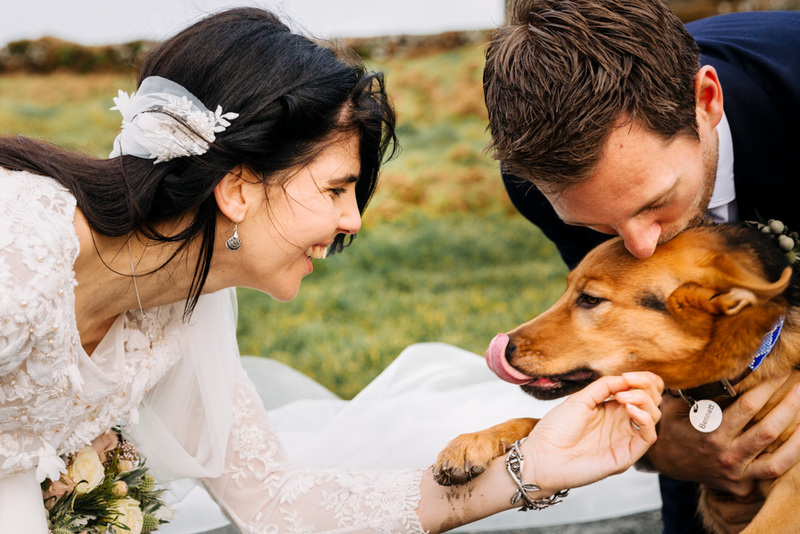 There was more howling going on during the ceremony as there were four dogs present. 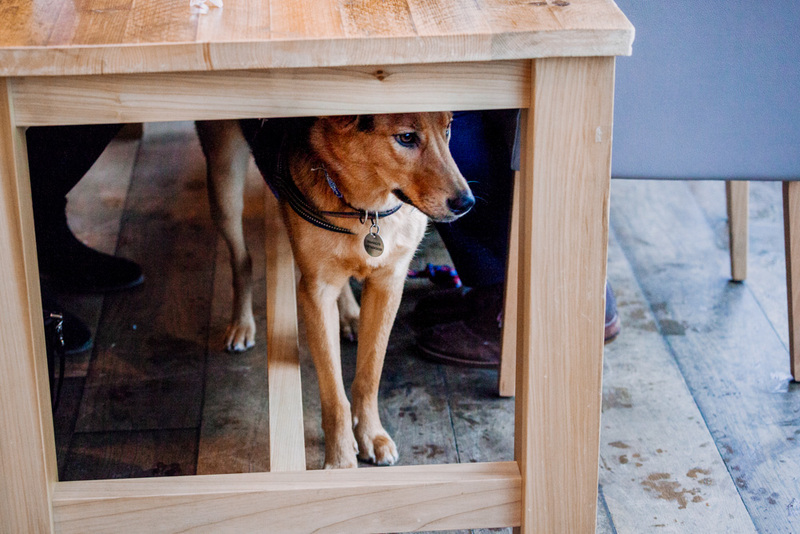 Thali is the couples beautiful dog who they rescued outside an Indian restaurant in Tanzania, where they met. 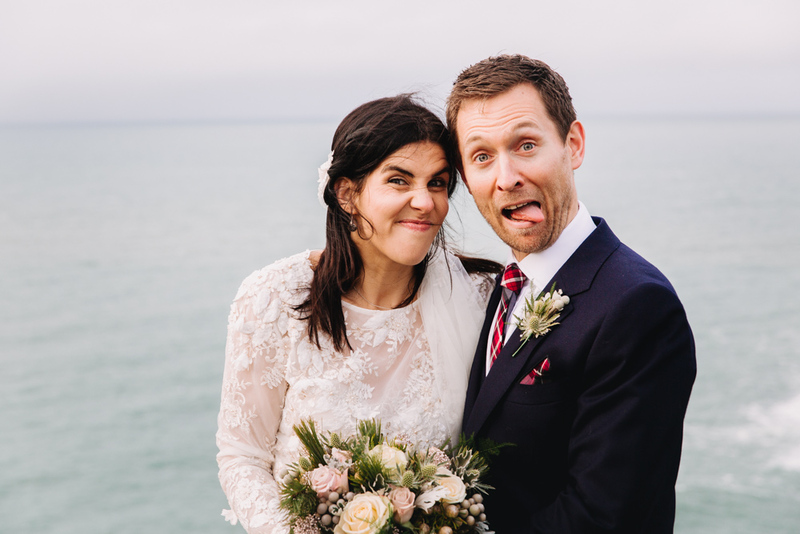 He’s a little mental but gorgeous and lovely at the same time! 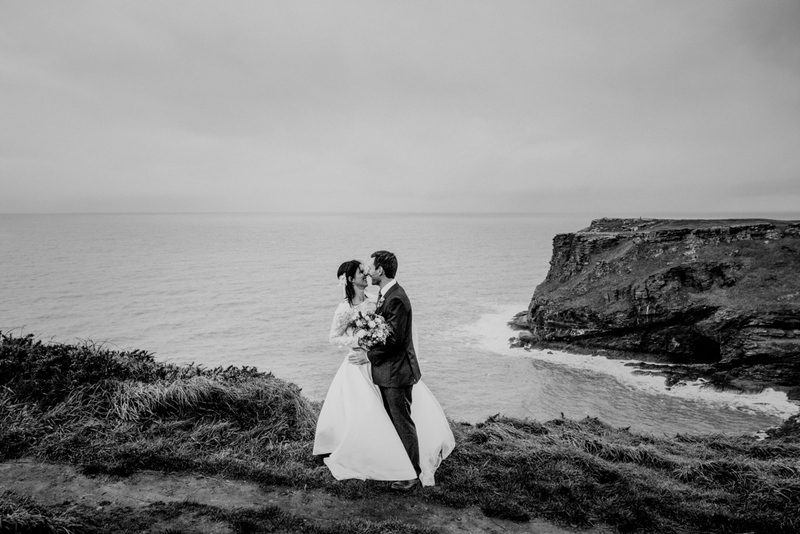 I managed to persuade the couple to do a little detour to the clifftops before heading to the pub. 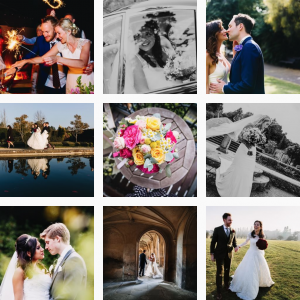 I’m so glad they did as they are some of my favourite photographs from my whole year. 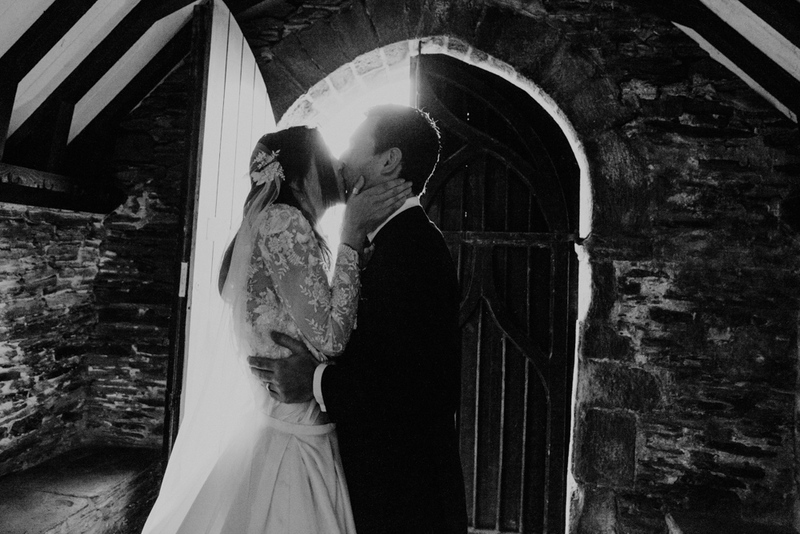 I had such a lovely day! 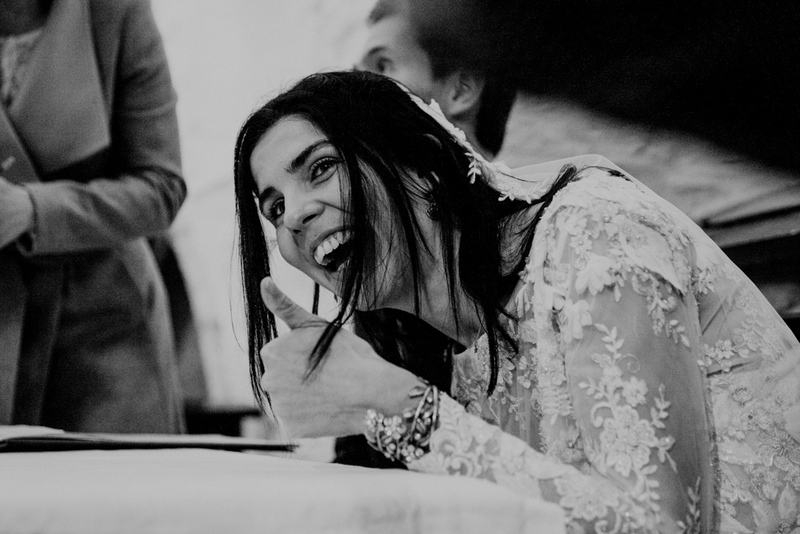 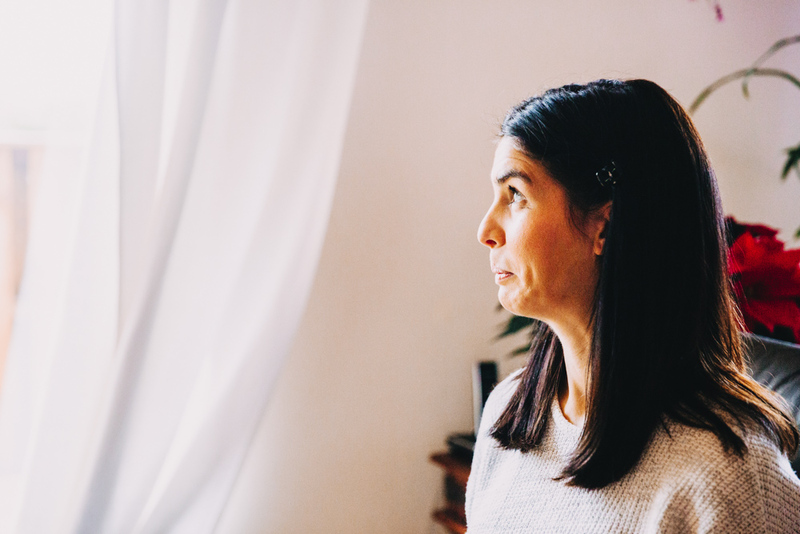 I was definitely out of my comfort zone, which was scary but very rewarding at the same time. 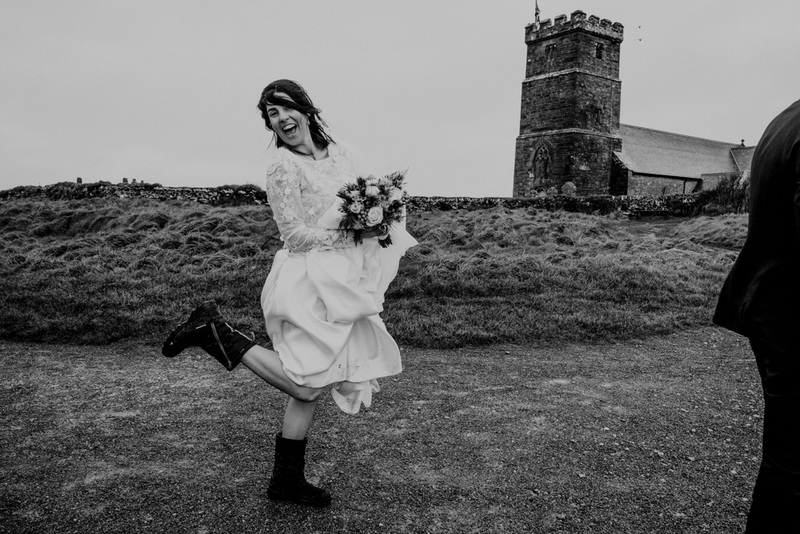 If anyones getting married in Tintagel and would like me to come along, please get in touch! 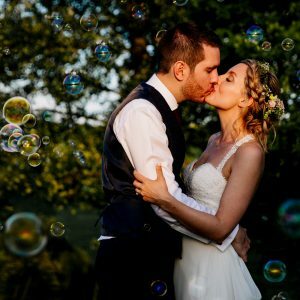 Just visit my contact page.